Anita Flack and Thomas Haslinger won gold, besting their teammates Kerstin Schmidt and Michael Herr, who finished 11.2 second behind the gold medalists. Italy’s Manuela Alberigi and Davide Riccio completed the podium in 3rd place. 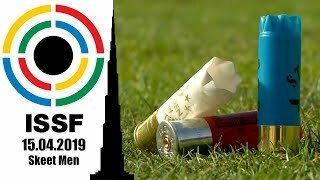 The first stage of the ISSF World Tour Target Sprint closed today in Suhl (GER), where the German Open saw the participation of 39 athletes from four nations. After taking gold in three of yesterday’s four events, Germany ruled the Target Sprint Mixed Team final as well, taking gold with Anita Flack and Thomas Haslinger, and silver with Kerstin Schmidt and Michael Herr. Indeed, Flack and Haslinger crossed the finish line with the time of 12:22.1 minutes, after leading the race since its very beginning. The German couple, combined consistent running with steady shooting, climbing atop the podium alongside another German team: Kerstin Schmidt and Michael Herr, in fact, placed in 2nd position, finishing 11.2 seconds behind the gold medalists. 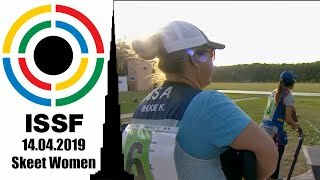 “I was very nervous at the beginning, the track was quite crowded, so I tried to focus on my running pace and my shooting, and it worked out pretty well,” said Anita Flack, who won individual gold at last year’s ISSF World Championship in Suhl (GER). Italy’s Manuela Alberigi and Davide Riccio finished in 3rd position and completed the podium, taking bronze with the final time of 12:41.6 minutes. For a complete sum-up of the Target Sprint rules click here. 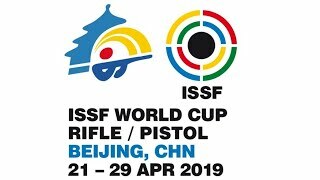 Live results, news and updates about all ISSF competitions will be available on www.issf-sports.org and on all ISSF social media platforms: Facebook, Twitter, Instagram, YouTube, Weibo and Youku.